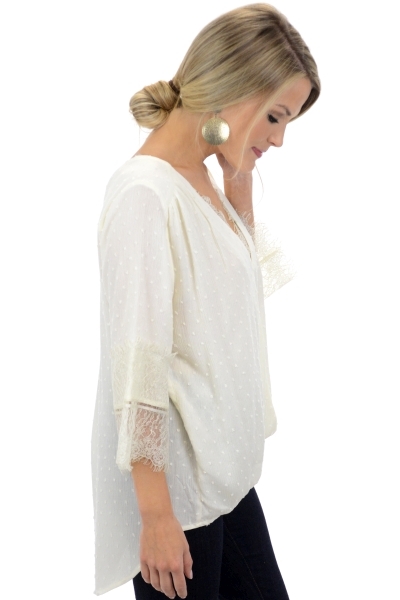 BEST SELLER, JUST RESTOCKED! 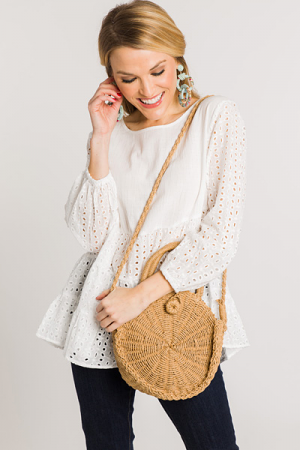 SWISS DOT fabric is trending big time! 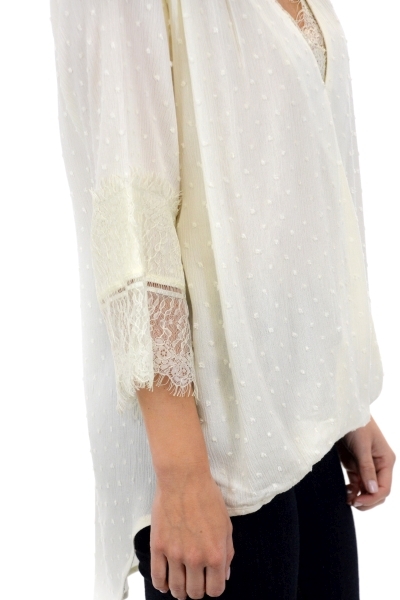 Jump on the look with this gorgeous flowing blouse trimmed in lace! A wrap look gives it that effortless front tuck look.